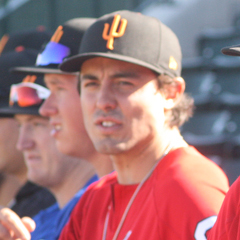 Surprise’s final game of the Arizona Fall League season ended in a narrow walk-off loss. 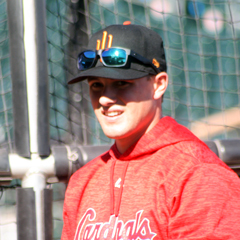 Conner Greene, Andy Young, Lane Thomas and Jeremy Martinez contributed to the Saguaros’ Thursday efforts. Results from the game played Thursday, November 15th. The Saguaros’ (11-19) late offense was not quite enough to overcome yet another poor pitching performance as Surprise was edged by the Mesa Solar Sox, 11-10, in the season finale. Lefty starter Shawn Morimando (TOR), the first of five Surprise hurlers, was tagged for five runs on seven hits and a base-on-balls over three frames. One of the seven hits was a two-run long ball. At the end of Greene’s tenure on the bump, Surprise was in a 10-3 hole. But a mighty rally ensued that was triggered by the Solar Sox hurler’s fielding error. Five unearned runs later, the Saguaros had cut the deficit to 10-8, the scoring capped by Will Craig’s (PIT) three-run bomb. A two-run single in the eighth knotted the game at 10-10 headed into the bottom half of the frame. 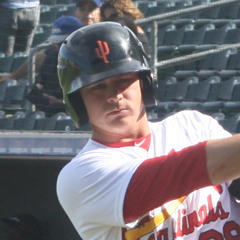 Eight of Surprise’s nine starters garnered at least one of the team’s 10 hits with all three of the Cardinals’ representatives having one hit each. Andy Young finished a fine Fall campaign by going 1-for-4 with a walk, double and two runs scored out of the clean-up spot. The second baseman finished with a slash line of .301/.416/.521/.936, (22-for-73) in 20 games. Lane Thomas also reached base twice, singling once in three at bats with a base-on-balls, touched home once and knocked in two. Young and Thomas were both aboard when Craig went yard in the eighth. The Saguaros’ right fielder’s final line was .262/.385/.328/.712, (16-for-61) in 20 games. 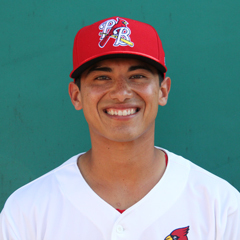 Catcher Jeremy Martinez saw action in 12 games, including the season finale, in which he went 1-for-4 with a run scored. Defensively, the soon-to-be 24-year-old was charged with a fielding error, his second miscue overall, and nailed only one of the four base runners attempting to steal. Martinez put up an offensive mark of .231/.388/.256/.644, (9-for-39) and drew more walks (eight) than he struck out (six). But the rally went for naught after Joe Barlow (L, 0-2) (TEX) did not retire any of the three ninth-inning batters he faced after pitching a clean eighth. Barlow walked his first batter then yielded back-to-back singles for the walk-off loss.